Playing Cards. These come fully cut out and corner rounded. You get 21 cards per sheet ordered. Printing and Qty Pricing are per sheet. Linen (OLD STOCK) (270gsm paper) - IF you want this stock to match a previous game, order "Gloss Premium Black Core" stock, and then specify in the order comments at checkout to "Use Linen Stock"
If you want a sample of these papers, get our sample pack! 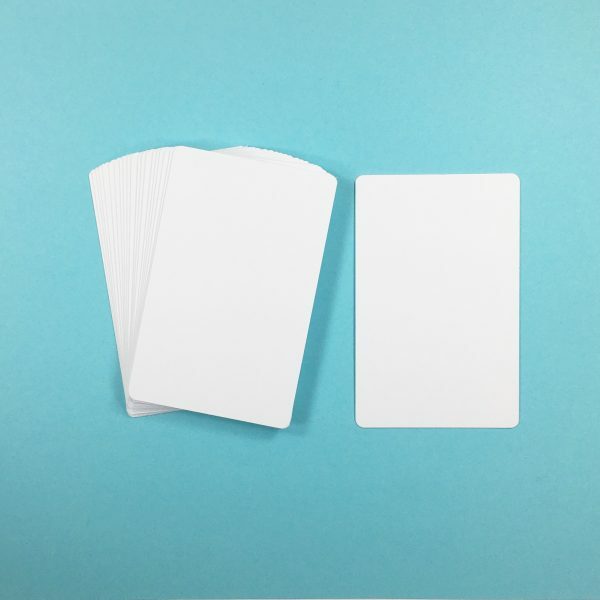 We will include any blank cards on your sheets, unless you ask us not to. All the cards will come with 1/8" rounded corners by default. If you don't want rounded corners, just mention it in the order comments. The corners will be the first spot most likely to show wear especially if you have dark colors on the backs! Standard deck of 54 cards is .66" thick in gloss, matte premium black core or gloss premium black core.